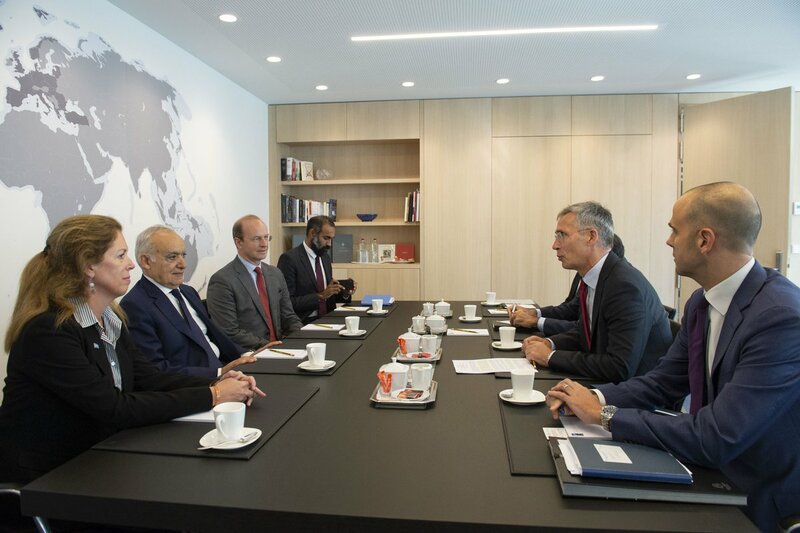 The Head of the UNSMIL Ghassan Salame, and his political deputy, Stephanie Williams, met Wednesday with NATO Secretary General Jens Stoltenberg to brief him on the political, economic and security developments in Libya. Sources confirmed that Salame intends to participate in the meeting of NATO ambassadors within the NATO Council. Salame will also meet with the European High Representative for Foreign Policy Federica Mugherini on Thursday, ahead of the European foreign ministers meeting in Luxembourg next Monday.